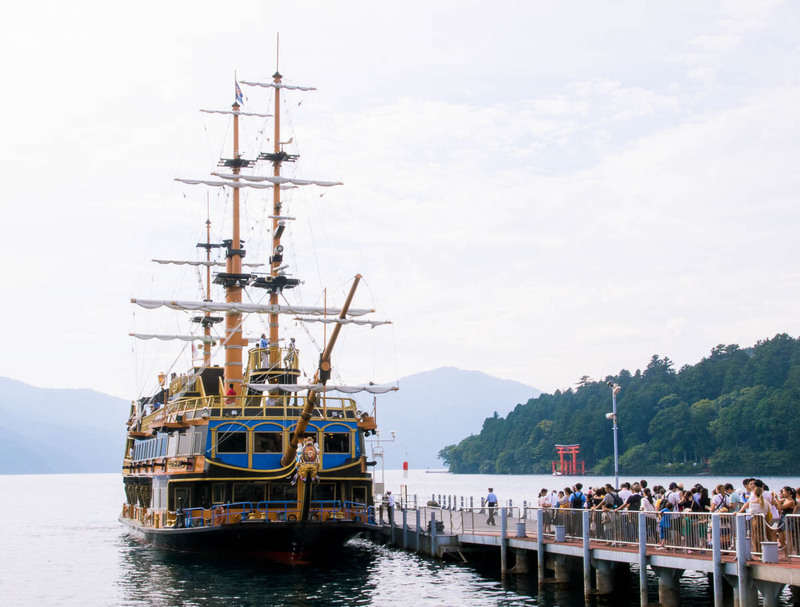 Being in Hakone felt a lot like exploring Disneyland — think pirate ships, old trains that climb mountains and cable ropeways that hover over foggy volcanic valleys. The diverse landscape felt as though everything was carefully sectioned out into different worlds. 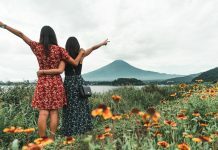 Hakone to many locals is also a popular weekend getaway — an onsen town with great views of Mount Fuji as well as old hiking paths lined with 400 year old cedar trees. 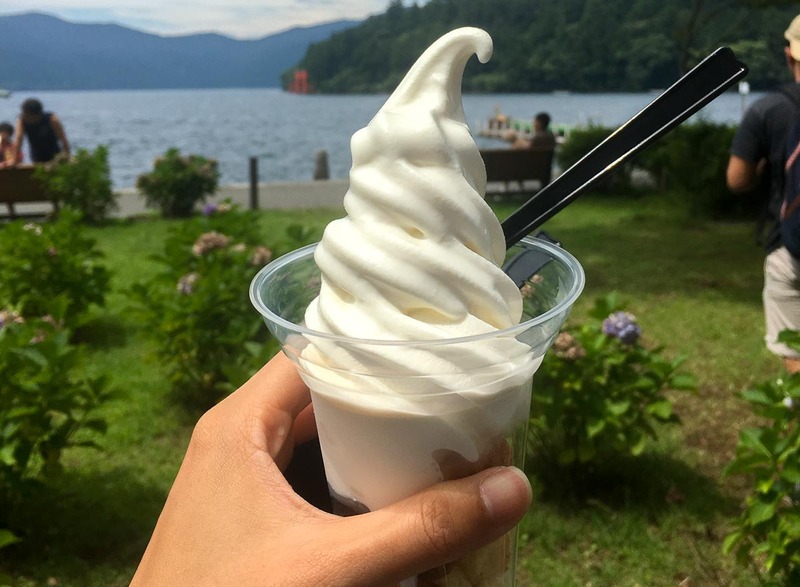 If that sounds like your kind of getaway, here is our guide to a fuss-free day trip to Hakone from Tokyo. This is the only transport pass you need to cover all the key sights in Hakone. 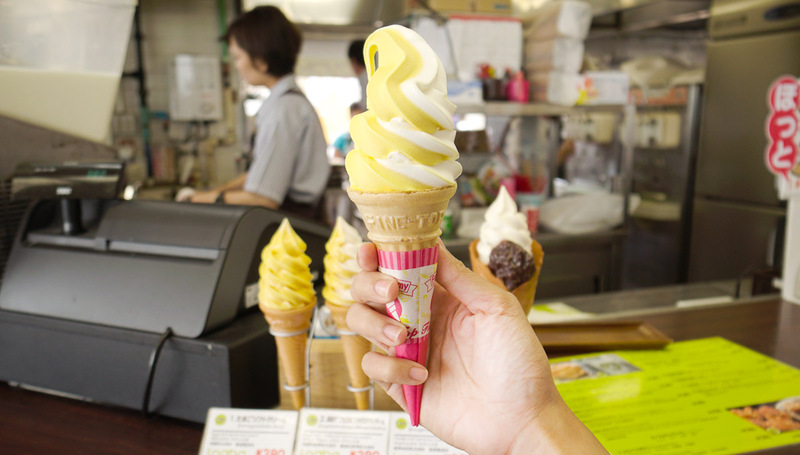 It comes in a 2-day (¥5140) and 3-day (¥5640) option and includes all the different transport needed to reach the main attractions as well as discounts on certain vendors. 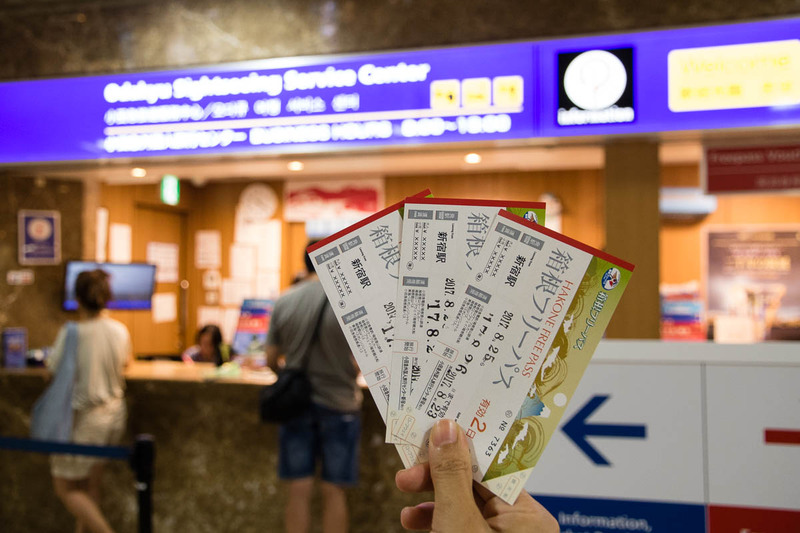 We ordered the 2-day Hakone Free Pass through Klook for ~S$62 and collected them at the Odakyu Sightseeing centre (Shinkuju Station). If you’re following this itinerary, we’d recommend collecting it the day before because the counter only opens at 8am. For first time users of Klook, get S$5 off your pass with the promo code <TTIKLOOK>! If you’re wondering whether the pass is worth its value since we’re only using it for a day, find out from our budget breakdown at the end of the post. Included in the Hakone Free Pass is the ride from Shinjuku to Odawara station (85mins) via the Odakyu Line. At Shinjuku station, show your Hakone Free Pass at the manned gantries to have it stamped. 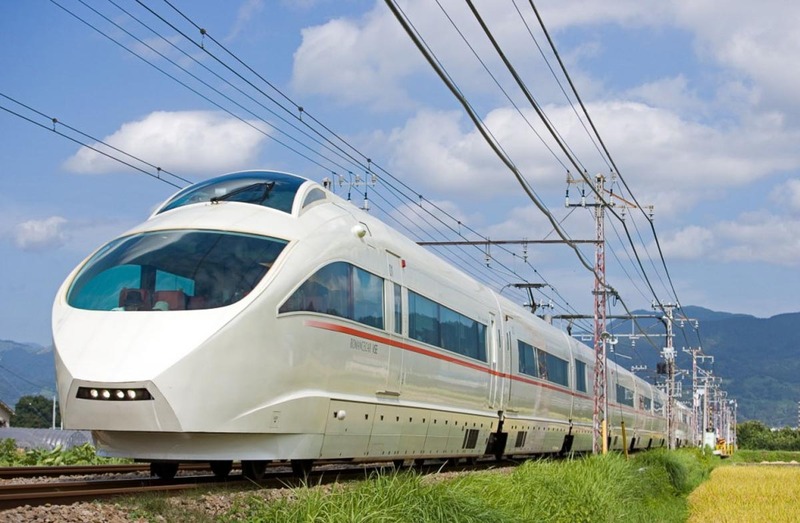 From Odawara, transfer to the Hakone Yuzan train and get off at Hakone Yumoto Station; where your adventure begins! A more convenient route is via the Romance car. This requires a ¥890* top up on top of the Hakone Free Pass but you get to ride in the train with large panoramic windows. This train also travels direct from Shinjuku to Hakone Yumoto station so there’s no need to change trains at Odawara. *March 2018 Update: Top up for the Romance Car now costs ¥1090 one-way (Shinjuku to Hakone-Yumoto station) instead of ¥890. From Hakone-Yumoto station, all the main attractions can be covered in a circle around Hakone so there’s 2 ways around it. Most people take the anti-clockwise route starting from taking the Hakone Tozan train to Gora and ending at with a bus ride from Moto-Hakone. 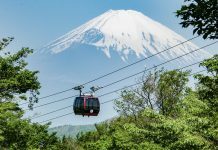 This route is ideal because the Hakone Ropeway that brings you to Owakudani closes at 4pm. However if you’re looking to beat the crowds, you can try the clockwise route instead starting from the most iconic part of Hakone. One of the most iconic symbols of Hakone is the grand Torii gate. In fact, it’s probably more famous than the shrine itself. Sitting on the edge of Lake Ashinoko, you’ll need to climb down a flight of stairs to get to this spot. How to get there: From Hakone Yumoto, take the Hakone Tozan Bus to Moto-Hakone Boat Pier (35 minutes). 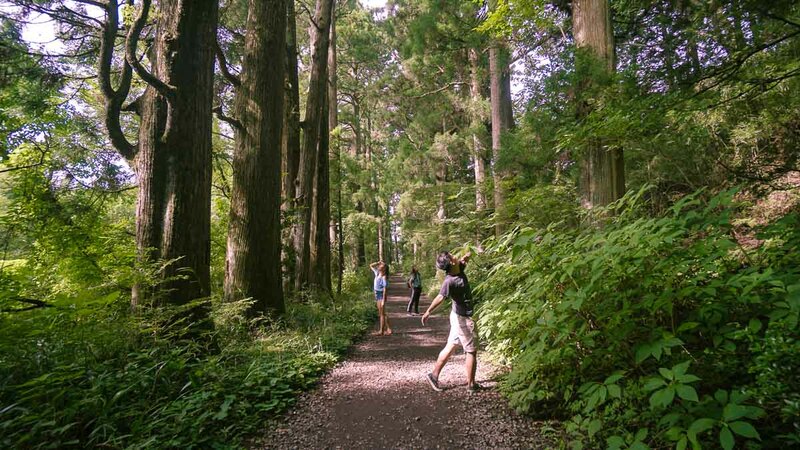 One of the best preserved parts of old Hakone is this 500m path lined with tall cedar trees. It was the original path used during the Edo period where travellers mainly walked on foot between Tokyo and Kyoto. 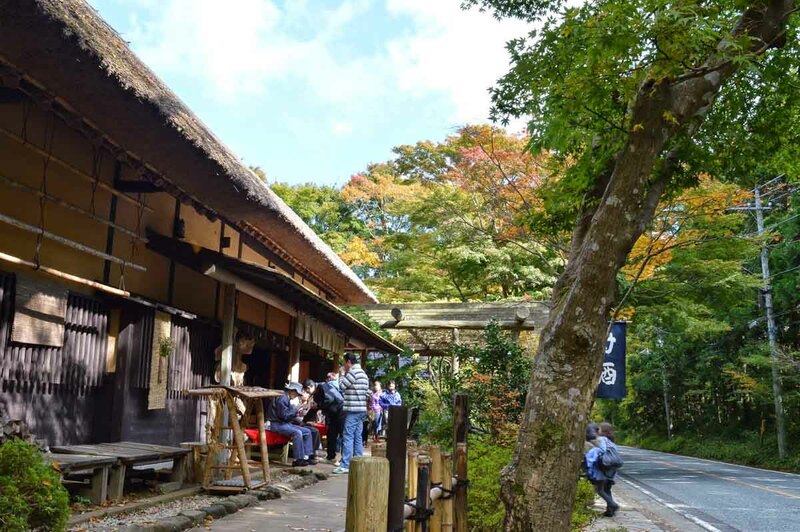 If you love hiking, there’s a longer route (~1.5 hours) between Moto-Hakone and Hakone-Yumoto that passes by a 350 year old teahouse, Amazake-chaya whose family have been serving travellers since the Edo period. How to get there: From Hakone Yumoto, it’s a 3-minute walk. At the other end of the Cedar Avenue is the Old Tokaido Checkpoint. Hakone used to be an important checkpoint along the Tokaido highway (connecting Kyoto and Tokyo). 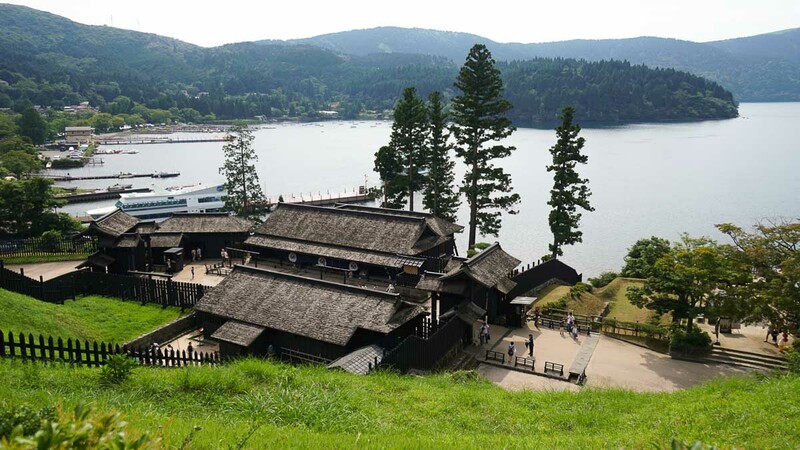 Although the structure is a reconstruction of the former Hakone Checkpoint, its location and style is a pretty accurate replica of the Edo period. The checkpoint functions like an immigration point to control the access of 1) the wives of the lords from escaping Tokyo and 2) that weapons aren’t brought in from Kyoto. 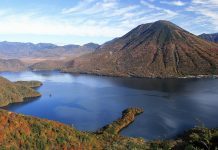 Lake Ashinoko is the heart of Hakone and one of the 5 famous lakes in the Fuji-izu region. The best way to cross this is via a sightseeing cruise that leaves Moto-Hakone Boat Pier and arrives at the Togendai-ko station. The boat leaves about 1–2 times an hour so check the boat schedule to plan your trip. A famous sight on the cruise is the floating Tori gate of the Hakone shrine as well as Mount Fuji on days when the skies are clear. This was one of our favourite parts of Hakone. Although the weather was apparently at its worst while we were there, the thick mist and cool air here — despite being 34° in Tokyo —gave the place a serene and dreamy atmosphere. 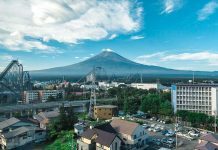 On a clear day, you’ll be able to spot a scenic view of Mount Fuji. 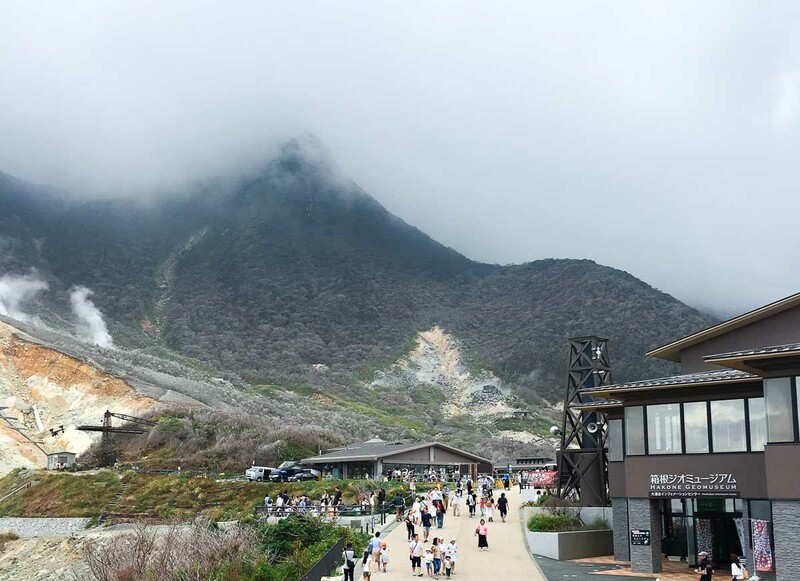 There is a hiking path that leads to the peak of Mount Kamiyama but tends to close when there’s increased activity of volcanic gases. 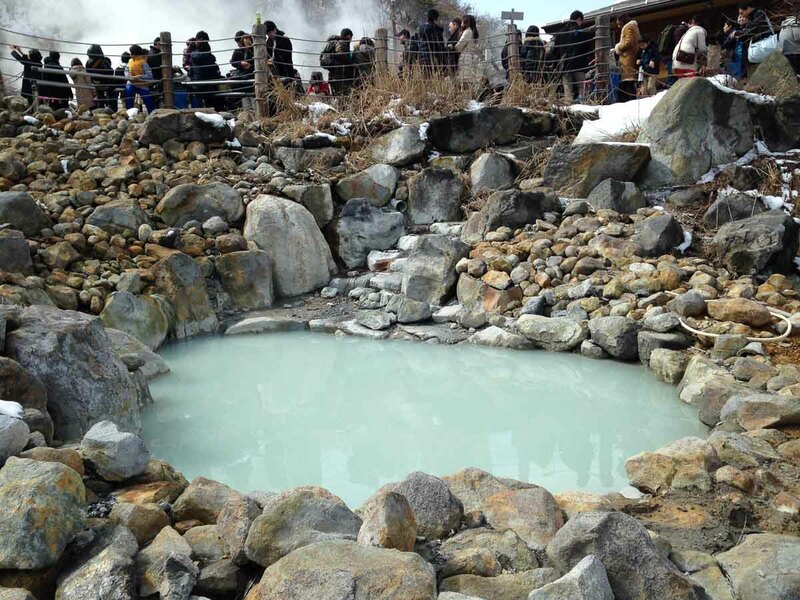 On that same path is also where you’ll spot hot spring pools where eggs are dipped in batches to cook. 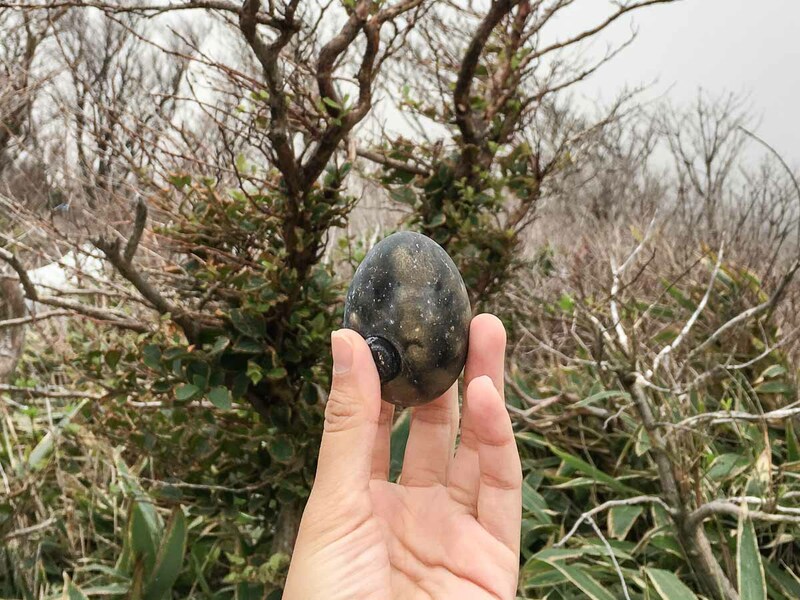 The shells turns black because of the reaction with sulphur in the water but rest assured they’re still safe to consume — in fact, eating the egg is believed to add 7 years to your life! Honestly they don’t taste very different from regular eggs. A set of 5 kuro-tamago (black hard boiled eggs) cost ¥500. How to get there: From Togendai-ko, take the Hakone ropeway up to Owakudani station (16 minutes). If you’re coming the other way around it’d be from Sounzan station (8 minutes). 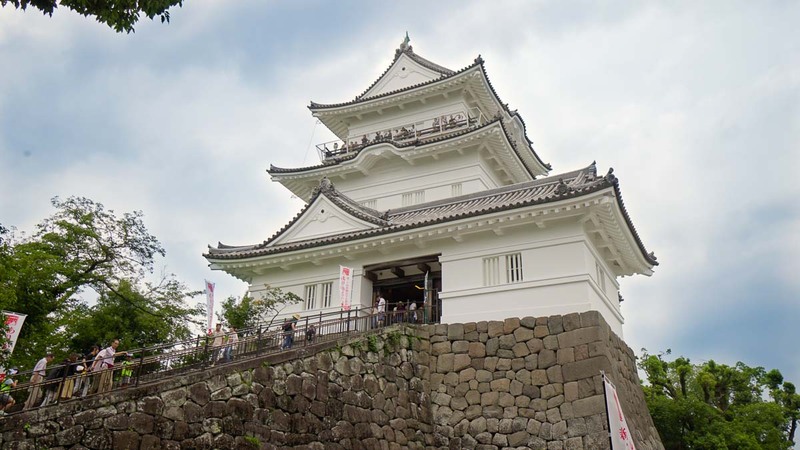 Before returning to Tokyo, make a quick stop at Odawara to check out the 15th century castle — a famous spot for its cherry blossoms in late March to April. 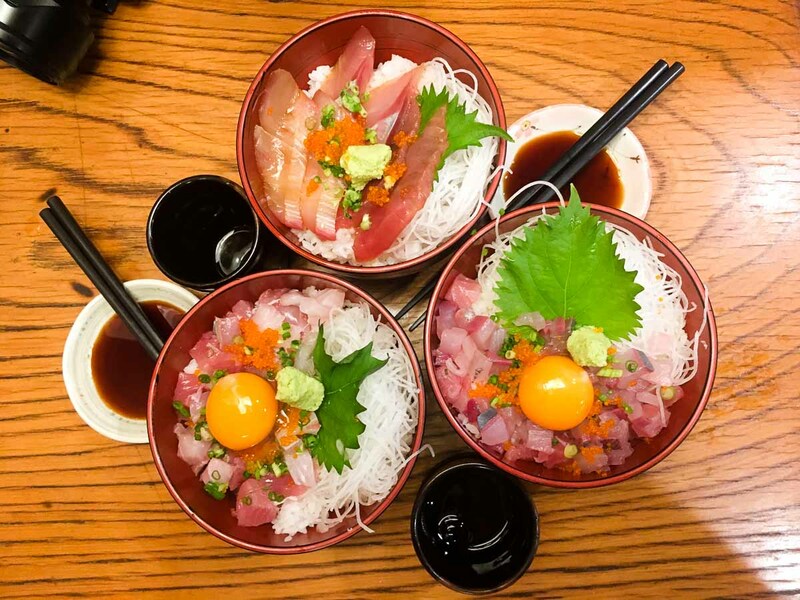 While you’re in Odawara, stop for dinner dinner at this Michelin Guide Chirashi place which serves fresh chirashi don bowls at reasonable prices. *Pro-tip: Add a bowl of Miso soup for ¥100 — comes in a medium sized bowl with a piece of fish in each and a good dose of dashi. Is the Hakone Free Pass worth a day trip from Tokyo? The longer answer? Here’s the homework done for you. 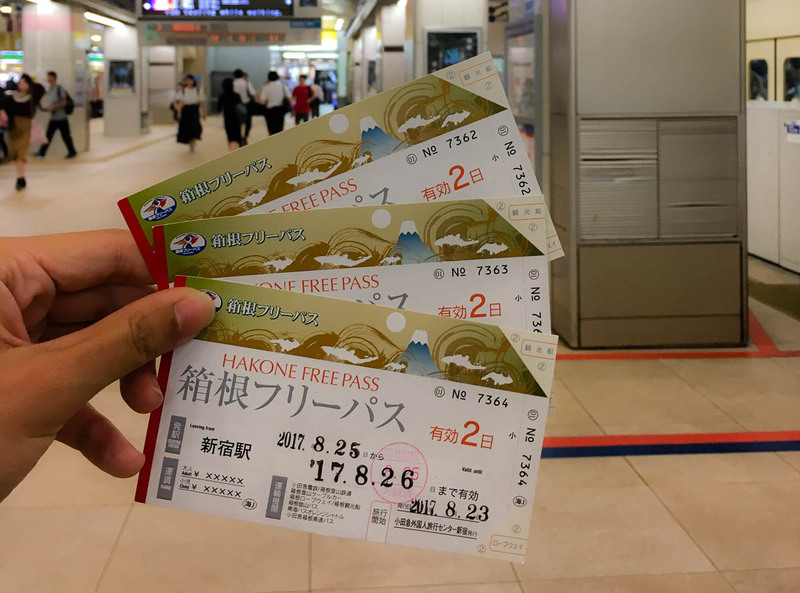 Despite only using the 2-day Hakone Free Pass for a day trip, we saved a total of ¥2130 (~S$26.50) on top of saving the hassle of purchasing individual tickets. Definitely recommend getting one of these passes if you’re heading to Hakone from Tokyo. Hope you found this Hakone Travel Guide useful! If it’s your first time ordering through Klook, use the promo code <TTIKLOOK> for $5 off your purchase. Thanks for the awesome guide! Can’t wait to go to Hakone soon. Can I check if I purchase the free pass from Klook, how do I upgrade it to Romancecar? Yup you have to! JR Pass does not cover the internal transport within Hakone as there are a few areas. How many hours did you take in all from item 1 to the end? Hello, I have a question. Does the Hakone Pass include roundtrip from Tokyo to Hakone and Hakone back to Tokyo or will I need to purchase separate fare? Yup! It covers the trip from Shinjuku and back to Shinjuku station. We have a 14 day JR pass. We will be starting from Tokyo for 5 nights. We have a place to stay in Hakone for 1 night before we start to go Kanazawa for 2 nights then to Kyoto/Osaka for 5 nights. So we are flying in from Los Angeles to Haneda and then flying out from Osaka back to Los Angeles. Do we still need to buy a pass for Hakone even if we are only there 1 day/night? How do we get from Hakone to Kanazawa? Hi Vicky! 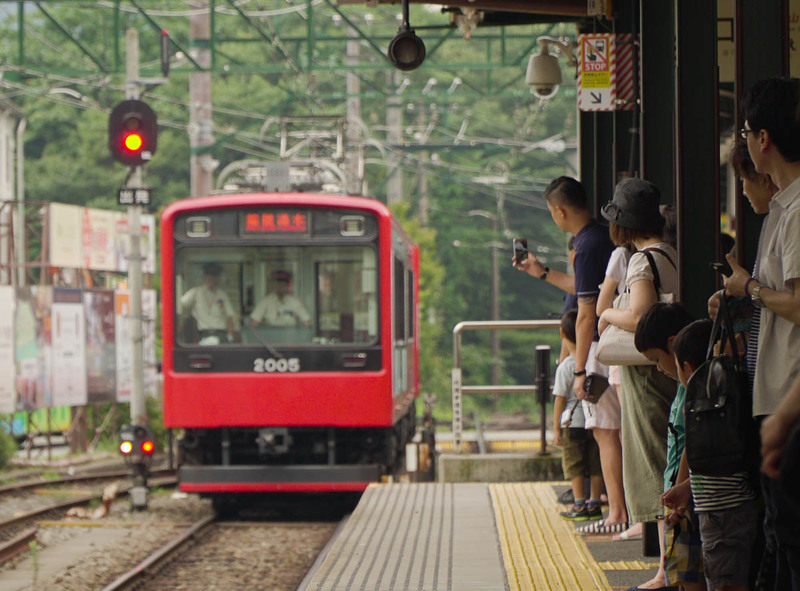 The JR Pass doesn’t cover internal transport within Hakone. 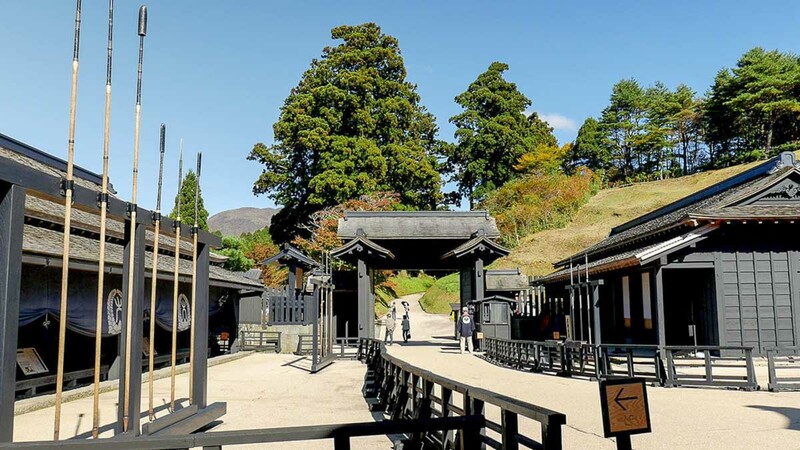 If you are only visiting 1 or 2 places within Hakone you probably don’t need the pass. But if you are travelling from Tokyo to Hakone and want to see many things within Hakone, getting the pass makes sense. It’ll also help when you are leaving Hakone on Day 2. Hi, how do you get to Hakone-Yumoto from Sounzan? Can you go straight without passing Gora? Hi Cara, yes there’s a bus from Hakone-Yumoto that goes to Sounzan in 20-30minutes but I’m not sure if the Hakone Free Pass covers that bus. Perhaps you could inquire again at the station. Hi Cherie, thank you for your useful guide! We have a 7-day JR Pass. We’ll be in Tokyo first for 5-days and then we’ll make our way south, first stop being Hakone. We’re thinking of purchasing the Hakone Free Pass to travel from Shinjuku to Hakone and use the Hakone Free Pass during our time in Hakone. Then the following day, we’ll start using our JR Pass for the rest of our trip south. 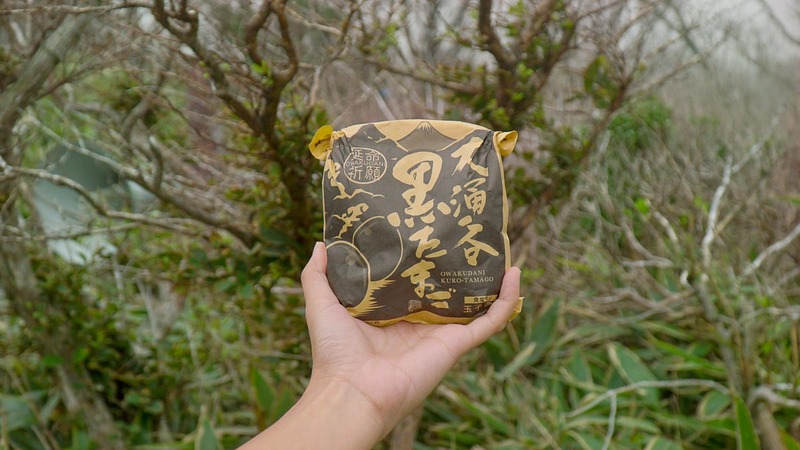 Do you know if it is possible for us to start using the JR Pass from Hakone? Thanks! Great blog! I hope you don’t mind me asking. So I’ve managed to book my family, tickets to Hakone Yumoto. We’ll be arriving at 12:24. Now I have two sets of returning tickets. And this is where my dilemma is! Tickets A: leaves at 16:28 but they are front observation deck seats! Ticket B: leaves at 17:28 but they are rear observation decks. Can I do Hakone ( both trains in the mountains, ropeway, pirate ship and then the bus back( or taxi if it helps) all in 4 hours time? Or will we be scrambling? Of course, the usual me would say, take the safe route and go for the 17:28 return so we’re not stressed. But we managed to book front observation deck seats, which I’m hesitant to let go! My kids both love trains and this would be a once in a life time trip! What do you think? Your post save me a hassle from planning from scratch! However i’m confused a little. With the Hakone Free Pass, does it include 2 ways transports back to Shinjuku via Romance car (top up of 890 per way)? Hi Wendy, the Hakone Pass doesn’t include the Romance Car, but you can still top up to get it like you mentioned. Hi, we just spent our weekend in Hakone and this entry served as our guide. Thank you so much! Oh man, that’s price jump.. but thanks for the update! Hi Odi… Would you be able to share where you stayed in Hakone? Does the Hokane pass covers departure from Tokyo Station to Hakone Yumoto Station (via Odawara station) or must be from Shinjuku Station? Can I collect Pass in Singapore instead of Odakyu Sightseeing centre ? Yes, you will need to validate your Hakone pass at Shinjuku station. Unfortunately, Odakyu is the only place you can collect the pass at the moment (even if you’re buying it direct). Did you see many people use the clockwise route instead? Having read on tripadvisor, people seem to get caught up with all the queues for the ropeway. I take it if you end up circling the other way though, would you avoid a lot of the queues? Thanks Cherie. Understandable. We are thinking of getting into Hakone early in the morning. What time did you leave Tokyo/Shinjuku? We are spending the night in Gora and have hotsprings to enjoy there. We will leave Hakone for Kyoto on the second morning. How would you recommend how we best spend our time? Because of the “loop” we’re not sure how we should spend our time! We were thinking of doing the anti-clockwise loop to get access to the ropeway etc. and owakudani (most likely with everyone else!). If the ropeway or owakudani is closed though, we’ll go clockwise. We were thinking of using the second morning to quickly explore the Hakone-Yumoto STN and Odawara before leaving. Cool! Really wished we stayed overnight for the onsens too. 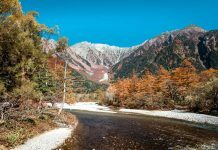 Perhaps you could cover the sights clockwise until the end of the Lake Ashinoko cruise then take a bus from Togendai-ko station towards Gora to relax at your Ryokan. The next morning from Gora, take the anti-clockwise route towards Owakudani (try to arrive right when it first opens at 9AM). If you take it slow, you can probably spend around 2-3 hours here before returning to Tokyo in the afternoon. Hi—Are there specific times to get all transportation with the pass or is it an open pass to get rides to Hakone and on the lake cruise and then back to Shinjuku? And even though it’s a 2-day pass, I can do this all in one day?? Thanks! hi i can’t seem to find the hakone free pass on look anymore ..
Hi what time did you guys arrive at hakone station to start the adventure? I plan on taking the route to the shrine first, then to checkpoint. how do I get from the check point to take the cruise near the shrine boat harbor? We arrived around 9AM cus that’s when stuff generally opens although I think it wouldn’t hurt to have arrived a little earlier and have the famous torii gate all to ourselves for pictures 😛 There was already a queue when we got there around 9:30AM. Hi Cherie, since the Odakyu Center opens at 8am, did you purchase your free pass in advance? Hello! Thank you for this; I’m researching for my trip to Japan in June and found this helpful. May I know if Klook still sells the Hakone pass though? I clicked the link above but it did not direct me to the relevant website. Also, we will be travelling to Hakone when we land at Narita airport in the morning, then staying at Hakone for 2 nights, before travelling to Shinjuku on our third day in Japan. Could you kindly advise if we should get the Hakone free pass from Shinjuku or Odawara? Which is more cost-efficient? Sorry, not too sure about this. We travelled to and from Tokyo to Hakone so it definitely made sense for us to get the pass from Shinjuku. Perhaps you could compare the prices on Hyperdia.com? If you’re getting the pass from Odawara, you could activate your JR Pass (if you have it) after Hakone since that will cover your ride from Odawara to Shinjuku. If you plan to leave early, it’d be better to collect the pass the day before! We plan to go to Osaka and stay for 6 days /5 nights, then travel to Tokyo (on the 6th day )for 4 days/3 nights and return to Osaka (on the 9the day )for another 4 days /3 nights (and leave on the 12th day). 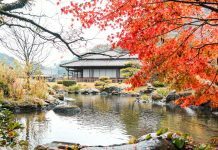 During the first part of Osaka trip, we plan to travel to Kyoto for 4 days (taking day trips), and during the Tokyo trip, we plan to go on day trips to Hakone, etc. Upon returning to Osaka on the last leg of our trip, we plan to visit Nara and Kobe. I am planning to activate the JR pass from the day we travel from Osaka to Tokyo, use it in Tokyo, and back to Osaka and eventually using it for the airport ride to Osaka KIX. Do you think it’s a good idea? We can use the ICOCA during our first few days in Osaka (to Kyoto), correct? Thanks . Wow! There’s a lot you can do in Japan for 12 days. Are you getting the 7 day or 14 day pass? If it’s 7, just make sure you have enough time to take the long trip back from Tokyo to Osaka before it expires! In Osaka, the ICOCA card works as a rechargeable card but if you’re looking for unlimited travel, the Osaka Amazing Pass is quite worth it. Hope this helps! Will Hakone be luggage friendly? Not planning to go back to Tokyo but will proceed west wards after that. I suppose if I choose a hotel near the lake, I should go straight to the hotel first, then start the “loop” from there. Hi Speck, it’s pretty luggage friendly. But if you do not want to carry your bags around, you can consider leaving them at the station lockers? So you mean put main luggage in locker and check into my hotel with just a travel bag containing just essentials? Hi! How did you get from Owakudani to Odawara castle? 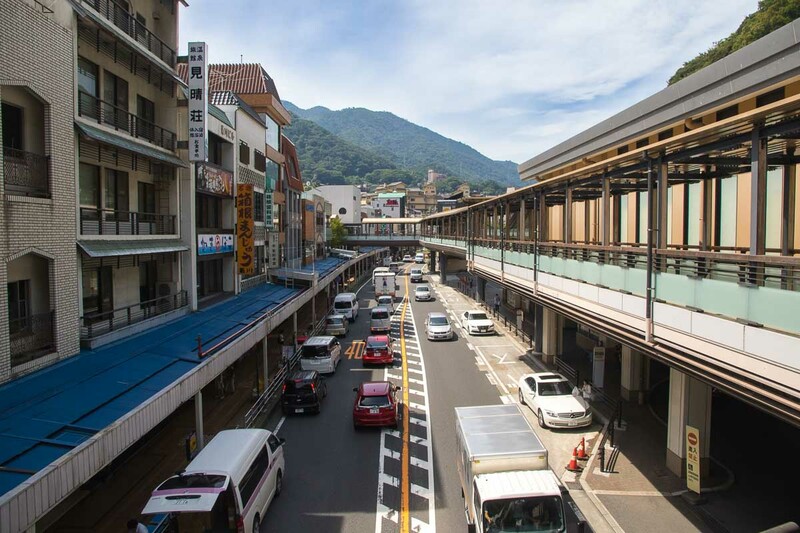 You can take the Hakone Ropeway from Owakudani to Souzan Station, and take a bus from there. It’s easier to ask them about the bus on the spot! Hi, Where did you eat your lunch in Hakone? Any other restaurant recommendation near Odawara aside from Odawara Chirashi? HI, any recommendations for a budget friendly ryokan with private onsen? Anyone else with recommendations? Would love to hear of them! How do you think of this? Should I get a JR pass? You must really love theme parks! 😉 Are you planning to catch your flight back in Osaka? If you are then definitely get a JR pass! If not, a single ticket will be much cheaper for this itinerary. Hi! We are planning to have a day tour from Tokyo to Hakone. 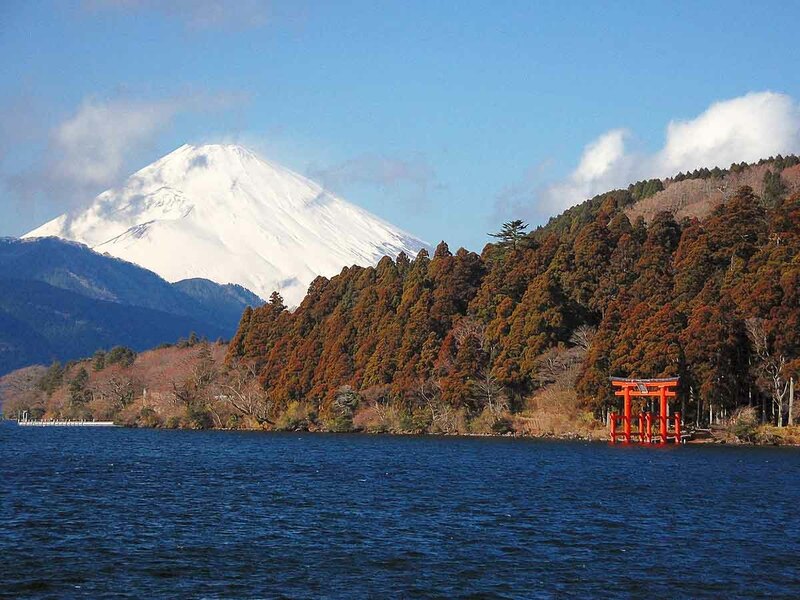 Is it advisable to get the 2-day Hakone Pass? or there is also 1 day Hakone Pass? 2 days would be less of a rush! That’s why the pass only comes in the 2 day pass. Very informative guide. I’ll be travelling with me family to Tokyo in March 2019 (Cherry Blossoms yay) and this was real helpful in my research and plannings. This might be many months late but I noticed you have a miscalculation (on how much the free pass saved you) while I was doing mine. The hypothetical total for individual tickets should’ve been JPY7270 instead of JPY6960. So you actually saved JPY2130 :). Unfortunately we didn’t go there! Hi Cherie, we will be in Tokyo on the 3rd week of March 2019. If we make a day trip to Hakone, will it be cloudy or is there a chance to see Mt. Fuji clearly? Hi Jennifer. It really depends on the weather! There is a better chance in the colder months but it really depends on the weather on the day itself. Often it is clearest in the mornings so do wake up early! I want to ask if you don’t mind. Can I buy the Hakone free pass in the vending ticket machine? And can I use it directly to go to Hakone and use all the covered transportation with that Free pass without changing it first? hmm, not sure about buying through vending machines. It wasn’t available during my trip there in 2017. The e-ticket purchased from Klook is an exchange voucher so that alone will not give you access to the transport system. You’ll need to visit the Odakyu sightseeing centre at Shinjuku to collect the pass before leaving for Odawara. Hi! Thank you for this lovely post! 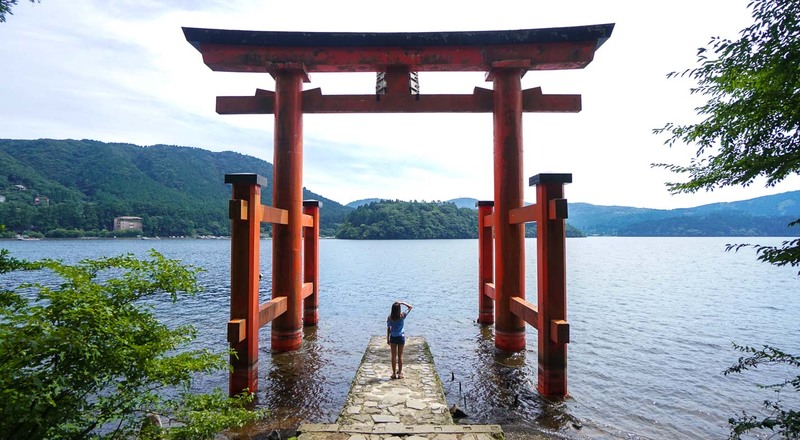 We are planning our trip to Japan at the moment at your post about the daytrip to Hakone inspires me! Hello! Thank you for sharing! 🙂 You have inspired me to get this pass. But could you answer few questions for me? 🙂 How long does doing all of those things take? I was thinking of doing everything you posted about and also visiting an onsen for few hours. Do you think thats possible? You said the buses stop at 4pm? Does that mean you have to head home to Tokyo by 4 pm? I want to do a daytrip to Hakone and see everything PLUS go to an onsen. Is that possible you think? Does it all end by 4 pm? Or is it possible to take later trains to Tokyo? thank you! you’re welcome 🙂 hmm, I’d high recommend staying a night to properly enjoy the onsen. If budget is important, you can stay in hostels around Odawara station and travel back to Hakone Yumoto the next day. The Hakone Pass is for 2 days anyway! Hello, can i ask if i the hakone free pass bring us to the kawaguchi station straight from shinjuku station. Hi Peter, nope it doesn’t. Kawaguchi Station is actually closer to Mount Fuji than Hakone. Hello. Thanks for the suggested hakone itinerary. May I know after visiting the hakone shrine and torii gate, do we have to go back to Hakone Yumato to walk over to Ancient Cedar Avenue? From the map its seems walkable from one point to the other. 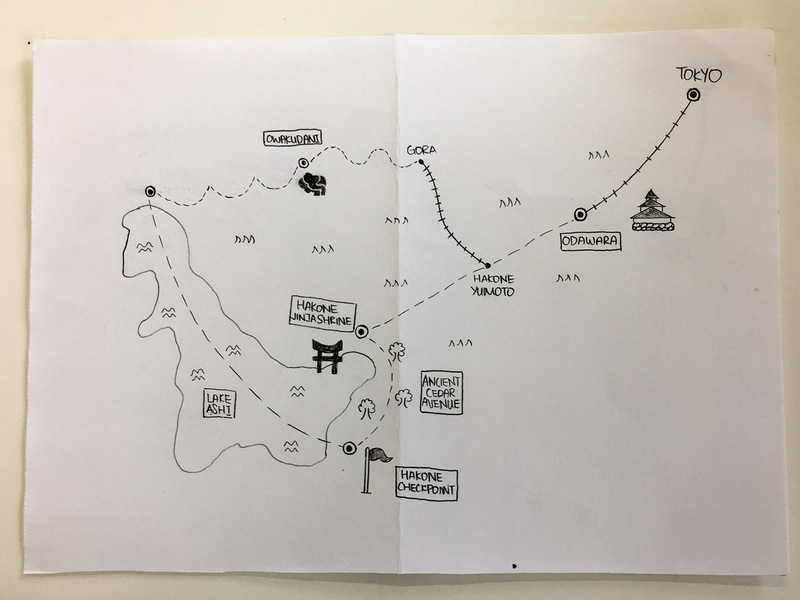 And from the checkpoint museum, I understand from your earlier reply that its also walkable to the Moto Hakone Pier to catch the cruise to Togendai-ko station. Is my understanding correct? Appreciate your advice! Thanks for the suggestion. On point and with useful tips! May i know how long is the total itinerary? I want to leave Tokyo at 8.30-9.00 (not an early bird), but i don’t want to miss the 4pm ropeway. Thank you! 🙂 We took the first train out but if you’re starting slightly later, you can cover the route anti-clockwise and start with the ropeway.